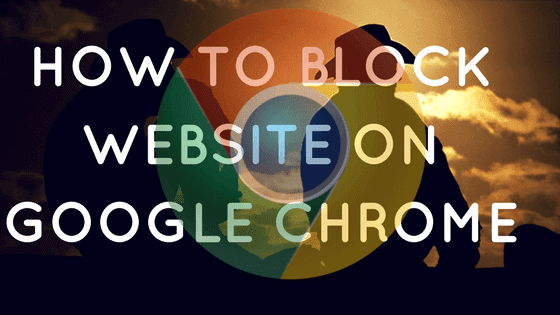 Are you looking for a way to block websites in Google Chrome web browser? Chrome doesn’t come with an inbuilt feature that lets users block certain websites. You have to use a Chrome extension to block websites. There are many chrome extensions available for free in the Chrome Web Store that works as a website blocker for blocking any website. Why do I need to block Websites in Chrome? While surfing the Internet, you may encounter some insecure websites that may harm your computer. These harmful websites may create several problems on your computer if you don’t block them. These insecure websites can breach your personal information. They can force you to install an unwanted extension [Adware]. Corrupt your computer with a malicious code. There may be other reasons why you might want to block a website in Chrome web browser. You might want to protect your children by preventing them to access adult sites or you might want a particular website to be blocked for other users at home or at work. Block site is a free website blocker extension which automatically blocks your preferred website. The best thing about this extension is that you can block all adult websites by enabling the adult control option from its settings. Click on “Add to Chrome” button and then ‘Add extension’ on the pop-up dialog box to verify the installation. This will automatically add the extension in Chrome. 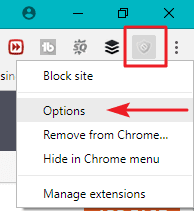 Click on the Block site icon at the address bar and open Options. Enter the website URL you want to block in the field next to Add Page and then click on Add Page. The website URL you entered will be added to the blocked list. Now the next time you try to open that website, it will show an error – “this page is blocked by chrome extension”. Note: If you want to block a particular web page, just right click on that page, click Block site > Add current site to blocklist option. StayFocusd is one of the best website blocker chrome extension that helps users to stay focused on their work by limiting the amount of time they spent on some time-wasting websites like Facebook, Twitter, Instagram, Reddit, etc. If the time limit allotted on these sites has been reached, StayFocusd will block these websites for the rest of the day. Click on “Add to Chrome” button and then “Add extension” to confirm the installation. StayFocusd will get installed and added to chrome browser. Click on the “StayFocusd” icon at the address bar and then click “Settings”. 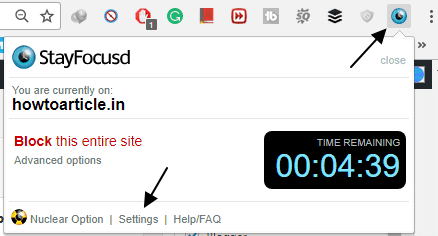 Here, you can set the URL of any website you want to block and set the maximum time to allow on that blocked site before blocking it. In the left sidebar, click on Blocked sites, enter the website URL to add it to the blocked list and then click Add Blocked Site button. Using the “Max Time allowed” Option, you can set the maximum no. of minutes allowed on your blocked site list. Use other features such as Active days and Active Hours according to your need. Conclusion: You can use any of the above extensions to block a website in google chrome. 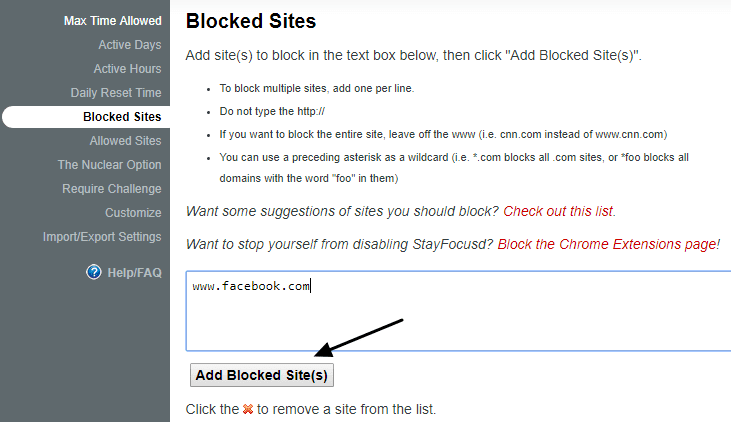 Personally, I would recommend you to use StayFocusd because it is not only a website blocking extension but also helps you to stay focused on your work or study. If you know about any other ways for blocking websites in Chrome or have a feedback to give on this article, please share your views in the comment box below.